There's still much we don't understand about mindfulness and meditation. Here's a run-down of 10 things we do know about meditation. During the past two decades, more and more scientists have studied mindfulness—a collection of practices aimed at helping us to cultivate moment-to-moment awareness of ourselves and our environment. Their early findings triggered an enormous amount of enthusiasm for meditation. Sometimes, however, journalists and even scientists (who should know better) have overstated the physical and mental health benefits, which has fed growing skepticism about mindfulness. In that spirit, here’s a rundown of questions that seem fairly settled, for the time being, and questions researchers are still exploring. 1) Meditation almost certainly does sharpen your attention. It’s not surprising that meditation would affect attention, since many practices focus on this very skill. And, in fact, researchers have found that meditation helps to counter habituation—the tendency to stop paying attention to new information in our environment. Other studies have found that mindfulness meditation can reduce mind-wandering and improve our ability to solve problems. There’s more good news: Studies have shown that improved attention seems to last up to five years after mindfulness training, again suggesting trait-like changes are possible. Do these benefits apply to people with attention-deficit disorders, and could meditation possibly supplant drugs like Adderall? We can’t yet say for sure. While there have been some promising small-scale studies, especially with adults, we need larger randomized controlled trials to understand how meditation might mix with other treatments to help both kids and adults manage attention-deficits. 2) Long-term, consistent meditation does seem to increase resiliency to stress. Note that we’re not saying it necessarily reduces physiological and psychological reactions to threats and obstacles. But studies to date do suggest that meditation helps mind and body bounce back from stress and stressful situations. For example, practicing meditation lessens the inflammatory response in people exposed to psychological stressors, particularly for long-term meditators. According to neuroscience research, mindfulness practices dampen activity in our amygdala and increase the connections between the amygdala and prefrontal cortex. Both of these parts of the brain help us to be less reactive to stressors and to recover better from stress when we experience it. 3) Meditation does appear to increase compassion. It also makes our compassion more effective. While we may espouse compassionate attitudes, we can also suffer when we see others suffering, which can create a state of paralysis or withdrawal. Many well-designed studies have shown that practicing loving-kindness meditation for others increases our willingness to take action to relieve suffering. It appears to do this by lessening amygdala activity in the presence of suffering, while also activating circuits in the brain that are connected to good feelings and love. For longtime meditators, activity in the “default network”—the part of our brains that, when not busy with focused activity, ruminates on thoughts, feelings, and experiences—quiets down, suggesting less rumination about ourselves and our place in the world. 4) Meditation does seem to improve mental health—but it’s not necessarily more effective than other steps you can take. Early research suggested that mindfulness meditation had a dramatic impact on our mental health. But as the number of studies has grown, so has scientific skepticism about these initial claims. For example, a 2014 meta-analysis published in JAMA Internal Medicine examined 47 randomized controlled trials of mindfulness meditation programs, which included a total of 3,515 participants. They found that meditation programs resulted only in small to moderate reductions in anxiety and depression. Furthermore, there was also low, insufficient, or no evidence of meditation programs’ effect on positive mood and feelings and substance use (as well as physical self-care like eating habits and sleep). According to the authors, meditation programs were not shown to be more beneficial than active treatments—such as exercise, therapy, or taking prescription drugs—on any outcomes of interest. The research is also raising some interesting nuances about the effectiveness of meditation for different populations. For example, one recent, large-scale, well-designed study found that the “gold standard” Mindfulness Based Stress Reduction (MBSR) intervention for adults had no impact on depression or anxiety in teens. As the authors note, this doesn’t mean meditation can’t help teenagers—it could well be the case that we need to develop and test interventions aimed at younger people. The upshot? Meditation is generally good for your well-being, yes, but so far it doesn’t appear to be actually better than many other steps you can take to stay healthy and happy. It should definitely be considered an adjunct to, not a replacement for, other kinds of treatment for mental conditions like bipolar disorder. 5) Mindfulness could have a positive impact on your relationships. There are many, many studies that find a positive link between mindfulness and relationship quality, which is probably a byproduct of the effects we’ve already described. For example, in one 2016 study, researchers measured mindfulness in 88 couples. Then they took cortisol levels in each couple before and after they discussed a conflict in their relationship. Unsurprisingly, cortisol levels spiked during the discussion, a sign of high stress. But levels in the most mindful people—both men and women—were quicker to return to normal after the conflict ended, suggesting they were keeping their cool. This result is echoed in many studies of mindfulness in romantic relationships from the beginning to the very end. Mindfulness is also linked to better relationships with your kids. Studies have found that mindfulness practice can lessen stress, depression, and anxiety in parents of preschoolers and children with disabilities. Mindful parenting is also linked to more positive behavior in kids. A small 2016 pilot study used neuroimaging to see how mindfulness practice changes the brains of parents—and then asked the kids about the quality of their parenting. The results suggest that mindfulness practice seemed to activate the part of the brain involved in empathy and emotional regulation (the left anterior insula/inferior frontal gyrus) and that the children of parents who showed the most activation perceived the greatest improvement in the parent-child relationship. We must remember, however, that these studies are often very small, and the researchers themselves say results are very tentative. 6) Mindfulness seems to reduce many kinds of bias. We are seeing more and more studies suggesting that practicing mindfulness can reduce psychological bias. For example, one study found that a brief loving-kindness meditation reduced prejudice toward homeless people, while another found that a brief mindfulness training decreased unconscious bias against black people and elderly people. In a study by Adam Lueke and colleagues, white participants who received a brief mindfulness training demonstrated less biased behavior (not just attitudes) toward black participants in a trust game. However, social bias isn’t the only kind of mental bias mindfulness appears to reduce. For example, several studies convincingly show that mindfulness probably reduces sunk-cost bias, which is our tendency to stay invested in a losing proposition. Mindfulness also seems to reduce our natural tendency to focus on the negative things in life. In one study, participants reported on their general mindfulness levels, then briefly viewed photos that induced strong positive emotion (like photos of babies), strong negative emotion (like photos of people in pain), or neither, while having their brains scanned. More mindful participants were less reactive to negative photos and showed higher indications of positive feeling when seeing the positive photos. According to the authors, this supports the contention that mindfulness decreases the negativity bias, something other studies support, too. 7) Meditation does have an impact on physical health—but it’s modest. Many claims have been made about mindfulness and physical health, but sometimes these claims are hard to substantiate or may be mixed up with other effects. That said, there is some good evidence that meditation affects physiological indices of health. We’ve already mentioned that long-term meditation seems to buffer people from the inflammatory response to stress. In addition, meditators seem to have increased activity of telomerase, an enzyme implicated in longer cell life and, therefore, longevity. But there’s a catch. “The differences found [between meditators and non-meditators] could be due to factors like education or exercise, each of which has its own buffering effect on brains,” write Goleman and Davidson in Altered Traits. “Then there’s self-selection: Perhaps people with the brain changes reported in these studies choose to stick with meditation while others do not.” In other words, we should use caution when championing results. 8) Meditation might not be good for everyone all the time. Some seem to believe mindfulness practice will invariably induce a sense of peace and calm. While this can be the experience for many, it is not the experience for all. At times, sitting quietly with oneself can be a difficult—even painful—experience. For individuals who have experienced some sort of trauma, sitting and meditating can at times bring up recent or sometimes decades-old painful memories and experiences that they may not be prepared to confront. In a study published in the journal PLoS ONE, Jared Lindahl and colleagues interviewed 100 meditators about “challenging” experiences. They found that many of them experienced fear, anxiety, panic, numbness, or extreme sensitivity to light and sound that they attributed to meditation. Crucially, they found that these experiences weren’t restricted to people with “pre-existing” conditions, like trauma or mental illness; they could happen to anyone at any time. In this new domain of research, there is still a lot we do not understand. Future research needs to explore the relationship between case histories and meditation experiences, how the type of practice relates to challenging experiences, and the influence of other factors like social support. 9) What kind of meditation is right for you? That depends. “Mindfulness” is a big umbrella that covers many different kinds of practice. A 2016 study compared four different types of meditation, and found that they each have their own unique benefits. compared four different types of meditation, and found that they each have their own unique benefits. During body scan, for example, participants saw the biggest increases in how aware they were of their bodies (unsurprisingly) and the sharpest decline in the number of thoughts they were having, particularly negative thoughts and thoughts related to the past and future. Loving-kindness meditation led to the greatest boost in their feelings of warmth and positive thoughts about others. Meanwhile, observing-thought meditation seemed to increase participants’ awareness of their thoughts the most. Previous research also suggests that observing-thought meditation has an advantage in reducing our judgmental attitude toward others. Taken together, these and other studies suggest that if you’re tackling a specific issue—say, feeling disconnected from your body—then you can choose a practice aimed at helping that issue, like the body scan. Loving-kindness might help in conflict with others, while observing-thought meditation can help break rumination. 10) How much meditation is enough? That also depends. 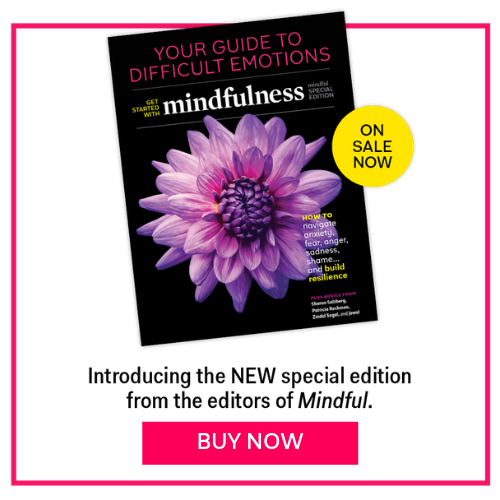 To date, empirical research has yet to arrive at a consensus about how much is “enough.” Aside from the raw number of minutes, other factors may interact to influence the benefits of mindfulness practice: the type (e.g., formal sitting meditation practice vs. informal meditation practices, mindfulness vs. compassion, etc. ), the frequency (multiple times a day vs. multiple times a week), and the quality (sitting and actually doing the practice vs. doing the practice “on the go”). While it’s possible that in the next 10-15 years we will see a CDC-style recommendation regarding meditation practice, to date, the empirical data on the topic are still inconclusive. Our recommendation? Try out different durations, types, and frequencies of meditation and jot down how you feel before and after the practice—and see what seems to work for you. Jeremy Adam Smith is editor of the Greater Good Science Center’s website and author of the book The Daddy Shift. Hooria Jazaieri, LMFT, is a researcher, teacher, and psychotherapist. Her research at UC Berkeley centers on personal reputation and team chemistry. She is the recipient of graduate research fellowships from the the National Science Foundation and the Greater Good Science Science Center.